If you unscrew the wing nut on the lid of your air cleaner and undo any other devices that hold it down, you’ll find the air filter inside. 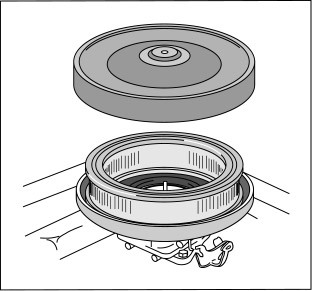 Figure 1 shows a round air cleaner and filter; some vehicles have square ones instead. Most vehicles come with pleated-paper filters that can be replaced for a few dollars. Replacing these filters is easy: You simply buy a new one for your vehicle’s make, model, and year, lift out the old one, and drop in the new one. A few older vehicles have permanent air filters, which you need to clean according to the instructions in your owner’s manual. Figure 1: The air filter is inside the air cleaner. To see whether your air filter needs to be replaced, just lift it out (it isn’t fastened down) and hold it up to the sun or to a strong light. Can you see the light streaming through it? If not, try dropping it lightly, bottom side down, on a hard surface. Doing so should jar some dirt loose. (Don’t blow through the filter — you can foul it up that way.) If the filter is still too dirty to see through after you’ve dropped it a few times, you need a new one. Because the air filter extracts dirt and dust particles from the air, you should change it at least once a year or every 20,000 miles, whichever comes first — unless yours gets very dirty before then. If you do most of your driving in a dusty or sandy area, you may need to replace your air filter every 5,000 miles, or less. If a road trip takes you to such an area, it’s a good idea to check the air filter after you return. Look for well-known, quality-brand filters; you can often get them quite cheaply at discount stores. Unknown brands sell for very little, but they aren’t always of good quality, and if your air filter lets a lot of junk get into your carburetor, you may find that a cheap filter is very costly in the long run. If you need help determining which air filter is the one you need, go to your local auto supply store or to the parts department at your dealership. Give them your vehicle’s make, model, and year. Make sure that the filter you get matches your old filter in size and shape. If it doesn’t, you’ve been sold the wrong filter for your car. To save yourself a trip back to the auto supply store, check the filter you purchase against your current filter while you’re still in the parking lot. You can run your engine with the air cleaner off, but never drive around like that. The amount of dirt that gets into your engine determines the life of your vehicle. This dirt creates the kind of wear that causes engines to break down.